In all honesty, we had doubts about how well FKA Twigs’ production-heavy style and breathy vocals would translate into a live performance. Any doubts were quickly brushed away last night. 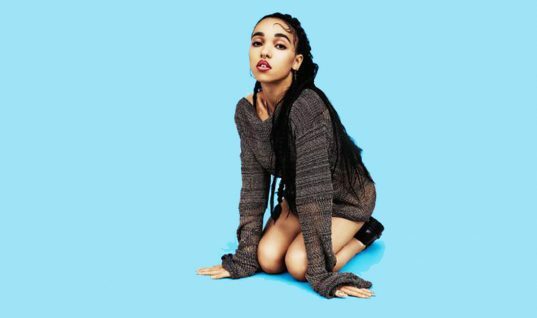 The heavy pulsating percussions never overwhelmed FKA’s vocals. At some points her voice reached falsettos so high and pure it felt like we had attended an opera. At other moments, like during her performance of “Two Weeks“ FKA pulled her voice into deeper, more sensual regions, showcasing a unexpected range and depth. Judging by the audience’s explosive reaction, “Pendulum“ (also FKA Twigs’ most recent release off of her debut album LP1) was the song of the night. At one point, the percussions and vocal backing fell out, and FKA took a pause worthy of Whitney Houston, before ending with a powerful, emotional finale. A personal favorite at FDRMX is “Hide“. The tick-tock percussions and spaced-out guitar perfectly compliment Twig’s dark, soulful style and twisting, rhythmic dancing. Overall, the show proved both FKA Twigs’ raw vocal talent and spell-binding stage presence, and foreshadows a long career as a singer and performer. It may be that her past experiences as a ‘video girl‘ and cabaret dancer have shaped her ability to capture audiences. In the rare moments where she spoke directly to the audience, it was typically a steady stream of ‘thank yous’ to the audience, influencers, and her stage team. For someone who’s created so much buzz lately, it was surprising to see a sense of humility and at a sold-out headlining show.